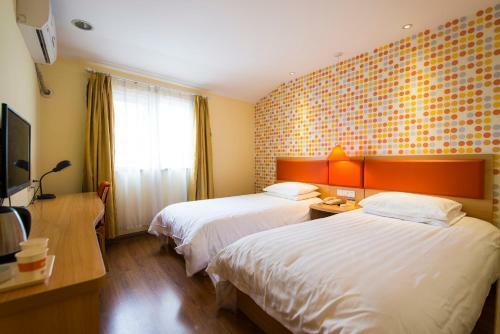 Home Inn Beijing Shangdi East Anningzhuang Road is set in Beijing, 8 km from Beijing National Stadium - Bird Nest. Rooms come with a TV. You will find a kettle in the room. Rooms are equipped with a private bathroom equipped with a shower. Extras include slippers, free toiletries and a hairdryer. Home Inn Beijing Shangdi East Anningzhuang Road features free WiFi . Summer Palace is 8 km from Home Inn Beijing Shangdi East Anningzhuang Road, while Houhai Bar Street is 13 km away. Beijing Capital International Airport is 22 km from the property.